David graduated from Northeast Louisiana University with a degree in marketing. He is currently Chairman of the Board and Secretary of Standard Enterprises, Inc. he also served on the Board of Directors of American Bank and Regions Bank of Northeast Louisiana for 21 years. David is a past president of Northeast Louisiana Homebuilders Association. He is also a Certified Property Manager (CPM), a prestigious designation awarded by the Institute of Real Estate Management, a division of the National Association of Realtors. 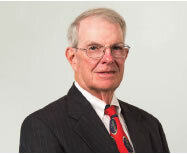 He has worked for Standard Enterprises, Inc. since 1965 and was the Chief Executive Officer from 1978 until 2006 when Mark Turrentine was elected President and Chief Executive Officer. David has been involved in the construction of over 5,000 apartment units and 3,000 single family homes.